A complete range of battery trays & battery racks complements the range of batteries we offer to go with our DC Power Systems. 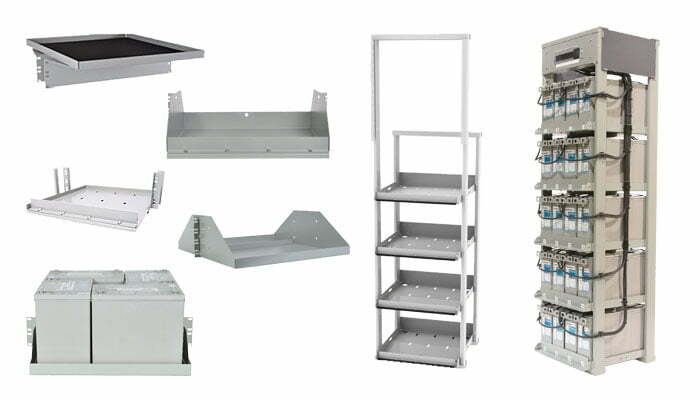 The battery trays are suitable for a variety of 19″ and 23″ rack-mount applications with versions available to accomodate any of the TEL Long Duration, TEL Full Front Access and Liberty Series batteries that are available. Battery racks are designed for the TEL Full Front Access batteries. Three models can accomodate a DC Power System along with the batteries while 4 models offer NEBS Zone 2 compliance with or without battery breakers.